Tony Assad is a lecturer of Accounting at the Lebanese American University. 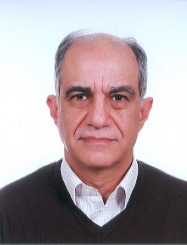 He holds an MS in Business from the Lebanese American University and a BS in Management and Computer from Beirut University College (currently LAU). He is currently a lecturer in seminars and training workshops. He was a previous trainer at The Center of Banking Studies of the Association of Banks in Lebanon. He has been a member of the Advisory Board of Leo & Leo SARL since 2003. Offered numerous seminars inside and outside Lebanon including seminars in Principles of Statistics and Finance, Financial Accounting for Non-Accounting Managers, Managerial Accounting and Finance for Non-Financial Executives, Managing the Finance and Accounting Department, Advanced Accounting and Finance for Non-Finance Executives, The leadership Challenge-A Middle-Management approach. Projects’ advisor at Gharib and Partners, Auditing, Tax, Business Advisory and Consulting, Lebanon.